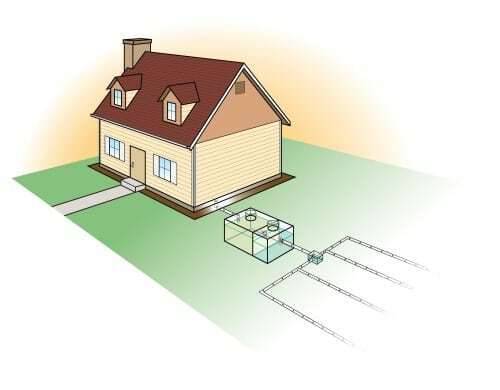 During your home inspection time period, you should also consider an inspection of the septic system. We have witnessed many new homeowners run into some very serious – extensive – costly issues after purchasing a new home because they failed to get a thorough septic tank inspection done before closing. To inspect the tank, the inspector will dig with a shovel to locate the access lid, which will be slightly underground Then, open the hatch, empty tank into disposal truck if necessary and inspect the system. These tanks are usually not too far underground for this very reason. Septic tanks also require clean outs in the 3-5 year range depending on usage. You can also request a dye inspection to ensure the field lines are working properly. The Kentucky Home Inspector only uses select contractors to perform septic tank inspections.